We at Regina Early Childhood Center feel that growth takes love. Learning through love promotes loving to learn. We provide a warm, nurturing environment where children are valued, respected and feel important in the world. Every person in the world possesses a unique individuality, not simply for mere existence, but to fulfill a distinct purpose. Each child, created by God, must be recognized and accepted as an individual with his/her unique qualities, needs, and pattern of growth. 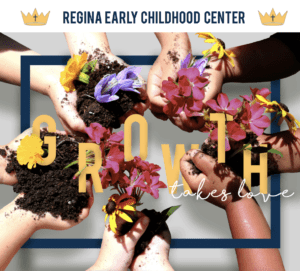 Regina Early Childhood Center provides a positive learning environment enhancing the child’s social, mental, physical, and Christian development. We seek to give children a readiness in social and academic skills by encouraging exploration of their world through creative art, literature, music, food preparation, self-awareness, and play. Further, our Early Childhood Center seeks to provide your child with a home parallel to the security and love of your family. Our caring and qualified staff works to aid your child in developing independence and self-control, while gaining new knowledge and friendships. The Regina Education Center as a complete body, our Early Childhood Center included, seeks to make their unique contribution to a God-centered education in the development of Roman Catholic tradition in a changing society. I entered the field of Early Childhood education because I am passionate about inspiring our young children to achieve and grow at high levels. 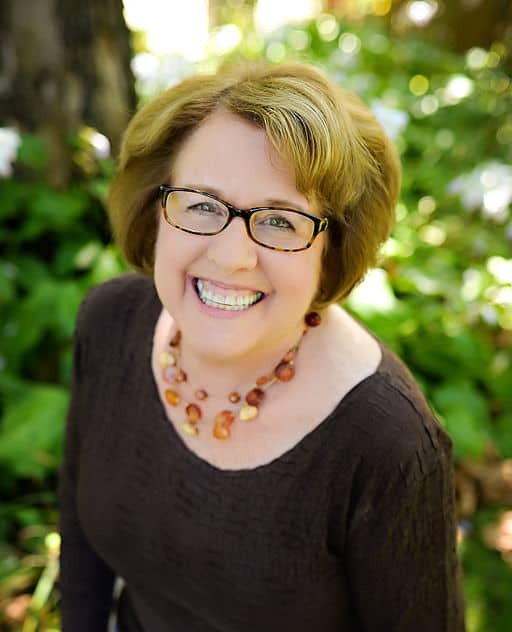 Having studied early childhood education in college and by continuing my professional growth throughout my career, I am proud to bring innovation and developmentally appropriate learning through our Creative Curriculum program. This program includes activities that promote positive self-image, social skills and learning that will set the stage for continued success at the elementary level. I still get excited about arriving to work each day to learn and grow with our students! We can also further meet the needs of children and families of the Regina community with our Nature Explore Classroom and Pre-K Program. The staff and I look forward to working with our Regina Early Childhood Education families and friends. Please stop by and visit our school community, we would love to welcome you! The early childhood program emphasizes development through a blend of child-initiated, teacher-directed, and independent learning activities. Using a variety of manipulatives, art mediums, and games to increase coordination. Cutting, pasting, painting, and coloring which aide in the development of fine motor skills as well as allowing free expression of creativity. Through singing, dancing, and instruments the child is exposed to new and familiar music, allowing further free expression. A wide, rotating selection of books in the quiet reading corner for free choice time and regular story time help build a lifetime love for reading. Outdoor gardening and nature activities in our Nature Explore Classroom, focus on an enjoyment and respect for nature and the outdoors. Materials offered to help build and extend social skills encourage imaginative interaction through dramatic play. Lessons and songs introducing both Spanish and sign language skills, familiarizing children with different types of communication. A safe outdoor playground equipped with inviting arrangement of equipment for active large muscle exploration. Introduction to numbers, letter recognition, shapes, and colors. Weekly themes provide exposure to in-depth information on unique topics.